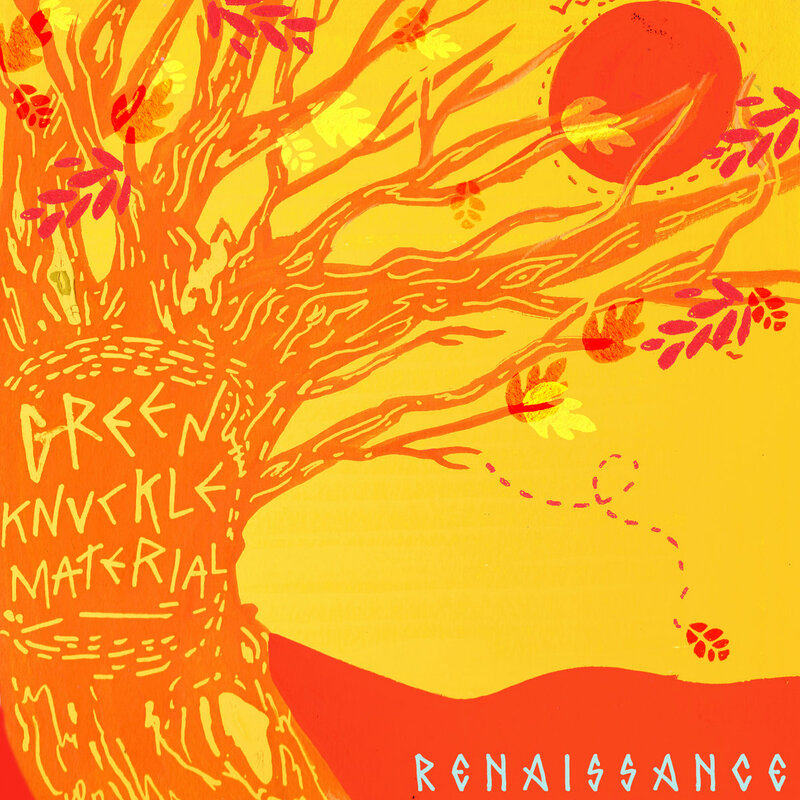 Bergen County, New Jersey-based indie rap/rock group Green Knuckle Material presents their new EP, Renaissance, released through Bad Cat Records. The 5-track album takes listeners on a melodic adventure of sound, complete with compelling songwriting, electrifying rock-infused production, and impressive elements of live instrumentation. Reminiscent to an early Red Hot Chili Peppers, the band beautifully blends alternative rock with storytelling that’s delivered either through reflective vocals (“Pictures”) or energetic rhyming (“Soon As”). You can get a better understanding of GKM’s unique approach in their live session of “Lullaby” below. Producers Josh Gustin and Mike Ravenda do a great job providing the soundscape for Renaissance while Scatterbrain PG (rap) and Young Dan (lead vocals/acoustic guitar) hold it down on the front end. To complete the full-bodied sound of the project, Green Knuckle Material also recruited other talented musicians, including Jenna Rose (background vocals), Evelyn Da Costa (congas), Isaac Del Rosario (keys), and Dan Rasczyk (saxophone). Look out for more of what GKM has to offer in the new year, and stream Renaissance below as well as on Spotify and Apple Music.